Looking for a quick breakfast that’s both delicious and could help in your journey to lose weight? Here’s a recipe I developed to start my mornings feeling great, even when I’m in a hurry. This green smoothie is high in fiber and light on calories so it’s a perfect choice for keeping you feeling fuller for longer after breakfast. If you have an especially hectic morning, remember you can make this smoothie in less than 3 minutes – continue reading to get the hacks I use for an extra quick prep. Don’t be put off by the idea of spinach for breakfast – the taste of spinach is mild and easily masked by the carrot and apple. With a good blender such as this one, you won’t even notice it! Why does this particular smoothie work so well for weight loss? 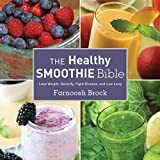 That’s the beauty of it – everything included in this smoothie plays a role in helping you to feel fuller, which is an important element in a weight loss friendly smoothie. Spinach can help to reduce potential for cravings and unhealthy snacking. Cucumber is ultra hydrating due to its high liquid content and packs a good nutritional punch alongside its low calorie count. Carrots don’t contain a lot of calories and provide a decent fiber boost, helping to keep you feeling fuller. Apple is another food with low density, and this has been shown to encourage weight loss. Hemp seeds have a higher protein content than most other seeds so they’re ideal for making a weight loss friendly smoothie. Not everyone likes their smoothie extra thick, so if this one comes out too thick, you can thin it out with some liquid. Water is the easy and obvious choice but there’s plenty of other options you can choose for more nutrients and they don’t have to add lots of extra calories. Adding more almond milk is a good solution, but if you’re like me and don’t want to miss an opportunity to add a coconutty flavor – then be sure to add around ½ cup of coconut milk. It comes with the added bonus of making the smoothie even more filling. Using frozen vegetables and fruit in your smoothies helps nutrients to last a bit longer than they would if they were fresh. There is also the convenience factor as you can freeze your fruit and veg and bring them out as and when they are needed. You can even put everything you need for this particular smoothie in a freezing bag to save time and effort when you’re ready to make it. Perfect for those mornings when time isn’t on your side! Worried that it will all end up lumped together in a frozen mass? The trick is to freeze the different ingredients separately before you put them together in a freezing bag so they’re already frozen and won’t stick together. This way, you won’t end up with spinach frozen solid to everything else! Jennifer runs Easy Healthy Smoothie and contributed this article to Natural Blaze. Check out her Cheat Sheets! NextIs There a Relation Between Good Faith and Good Health?